As Executive Chairman and CEO of Groupworks, Laurie is responsible for providing leadership and overall strategic direction to the corporation and its subsidiaries. He was selected to serve as Chairman of the Board of Groupworks in November of 2009. Prior to Groupworks, Laurie served as President and CEO of People Corporation. In this role, he oversaw both the continued growth of People First HR Services as well as the merger with HealthSource Plus. As a result of People Corporation's activities, the organization began its transformation from a regional firm to one with a national presence. Laurie's past experience includes the position of Chief Operating Officer and Office of the President of Assante Corporation, a TSX listed company. During his tenure with Assante, he led the organization from approximately 100 employees to become one of the largest non-bank owned financial companies in Canada, with some 2500 employees and advisors, managing approximately $22 billion in client assets. Assante's portfolio also included a leading sports and entertainment services organization in the U.S. In 2003, the Canadian Operations of Assante were sold for almost $1 billion. 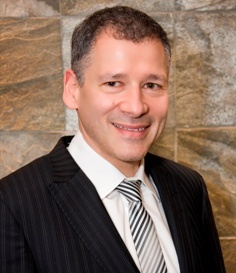 Prior to joining Assante, Mr. Goldberg was Managing Partner with Arthur Andersen (now Deloitte). Mr. Goldberg graduated with a Bachelor of Commerce (Honours) Degree from the University of Manitoba and is a Chartered Accountant. 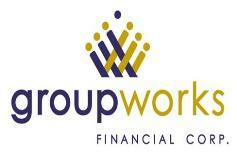 Groupworks Financial Corp. is a leading employee benefits and pension consulting firm in Canada. With a growing national footprint and offices across six provinces, Groupworks is bringing together the leading advisors in the industry, offering innovative and customized HR, benefit and group retirement solutions to its clients. CEOCFO: Mr. Goldberg, what was the vision when you became CEO of Groupworks Financial? Mr. Goldberg: Our vision around Groupworks is to provide innovative benefits and HR (Human Resources) solutions, primarily to small to mid-market Canada, across a number of sectors. Small to mid-market is generally defined as the 20-2000 employee group range, although we do serve companies both larger and smaller than that. Today, companies are challenged with the increasing cost of employee benefits. This is primarily driven by the growth in premiums that are far greater than inflation. The growth in premiums is driven in large part due to the growing cost of healthcare as well as utilization rates. At the same time, there is a growing shortage of people entering into the workplace due to demographic shifts. This is a trend; not a fad. So companies today are challenged with solutions on how to design and implement an employee benefit program and other related HR solutions for their employees that helps to attract, retain and incent them, and at the same time are cost competitive in an environment where they need to be globally competitive. Therefore, our strategy is to marry the best consultants in the country with proprietary solutions, and deliver customized benefit and HR solutions to our clients. Today we would probably rank in the top three if not the largest mid-market benefit consulting firm in the country. CEOCFO: What would you point to that is different about your solutions? Mr. Goldberg: There are several things. One area is that we have a proprietary benefit solution. We work with insurance providers to deliver customized and proprietary benefit solution to clients where they can have an integrated wellness and other programs for their employees. It is a tool that is very good to attract and retain employees. It also enhances a clients� employment brand, and it also provides a benefit program on a much more cost effective basis because we leverage our buying power with suppliers and pass some of those savings on to our clients. This further enables us to invest in building additional proprietary products. Another key area that makes us relatively unique in our space is that we have invested a lot in a number of specialists with consulting capabilities that the typical small or independent broker cannot afford nor provide. Specifically, we can bring to clients experts in self-insured solutions to fully insured solutions, group retirement specialists, wellness solution experts (such as our in-house nutritionist), as well as specialized products for the C-Suite. Furthermore, we are well represented in our client base along industry lines and sectors. From corporate Canada, to the public sector to universities and colleges, as well as association groups, we serve over 1,000 organizations and can therefore bring to bear our industry specific and sector specific experience to a client situation, advising on trends in their industry and bringing specific recommendations to ensure they are competitive. With respect to our HR solutions, our compensation consulting group designs and implements compensation programs to drive the desired behaviors, and our recruiting group can help place key individuals within an organization. In essence, we can provide a suite of end to end HR solutions and also be a compliment to internal HR professionals within an organization. In essence, we can bring subject matter experts that have industry and sector specific expertise to the table and design and implement a customized employee benefit and HR solution for a client. CEOCFO: What is your geographic footprint in Canada? Mr. Goldberg: Today we have a footprint where we have ten offices in six provinces. While we are not completely national in scope, we are on the way to building a national firm. CEOCFO: Is it like the U.S. where you need to be licensed in each province? Mr. Goldberg: It depends, but generally speaking, yes there are licensing requirements in each of the provinces. CEOCFO: How do you attract new business? Mr. Goldberg: That is also relatively unique in our industry and that is one of the value propositions that we bring to our consultants that are with us or that join us. First of all, we have a robust inside sales team that provides lead generation. It is a group of about a dozen highly talented people that bring opportunities to our consultants to present our offering to target clients. Further, we receive a significant number of referrals. We often get clients in similar industries or just referral from one client to another. Most of our other opportunities would be coming from relationships we have with our suppliers as well as strategic partners that we have across the country. CEOCFO: Is there a trend for reduced benefits and reduced pensions today in Canada? Mr. Goldberg: Not really. Certainly, in the area of pensions most companies that have pension plans today have defined contribution plans as opposed to defined benefit plans. In the area of benefits, clients are looking not just for cost containment, but they are looking for customizing a benefit program that really speaks to targeting the needs of their planned and existing employees. So it is really important to understand a company�s business strategy and the related people strategy in designing a benefit program that helps them attract, retain and incent employees. And today, employees view benefits as increasingly important in the whole equation in terms of choosing employers. The trend is actually increasing where it is a requirement for companies to have a benefit program and for it to not be as plain vanilla as it might have been decades ago. CEOCFO: Are most companies aware of that or is it still an education on that aspect of benefits? Mr. Goldberg: We have a lot of clients that are highly aware and informed in this area. In some cases, there is some education that continues to have to be done. There is a lot more press and publications around these issues as well. In addition, there is innovation in new types of products and offerings and additional features that are embedded into benefit programs along the lines of wellness. These are things that can help clients and their employees really be more productive both as employees and more balanced in their lifestyle choices. For example, incorporated into our wellness program are online tools to any employee on our platform whereby they have the ability to go on online and use tools that can help them with things like smoking cessation to finances to marital challenges. This is provided for both the employee as well as their families. CEOCFO: What is the role of your national health coverage; how limited is it that people need to expand a wellness program? Mr. Goldberg: Healthcare from a Canadian perspective compared to some other countries is strong. Wellness is not however being proactively understood. The whole concept of wellness is keeping your employees well, and that will reduce your incidence of claims and the cost of your benefit programs. The difficulty has always been how you measure your wellness program�s effectiveness. There are a lot of companies adopting different types of programs to help their employees be healthier because that will also lead to more productive employees. There is no doubt that the demand for adjacent products and services on the concept of wellness are becoming increasingly important. Part of it is in the design of a benefit program that really gives employees incentives to make the right choices around their benefit program. CEOCFO: Are most of your clients taking advantage of all of your services or do they tend to take part of it and then join on later? Mr. Goldberg: I would say that we would really present the breadth of our services to a large percentage of our clients. It does depend on the client�s needs. In addition to benefits, we do also provide HR solutions in the area of recruitment, organizational design, compensation consulting, career management solutions, and coaching services. CEOCFO: What is the financial picture like for Groupworks? Mr. Goldberg: I am pleased to say that we have consistently grown quarter over quarter and from quarter to quarter in terms of comparative quarters and year over year. We have achieved quite healthy growth rates over the last three years. Today in terms of the number of employees in our company, we are approaching two hundred. Premiums under our administration are approximately $400 million. We would be serving several hundred thousand employees across Canada. CEOCFO: You mentioned earlier that many people are using local brokers; how do you get them away from that? Mr. Goldberg: That is a good question. The firms that have joined us were those brokers. We also support our associate channel comprised of independent consultants that look to us as their group benefits experts. Once we are at the table with an opportunity, we can present the breadth and depth of our service offering. We don�t bring one solution to a client, but we are very focused around understanding what the client�s needs are and then customizing a solution to their needs as opposed to selling a specific product or service. CEOCFO: What is your retention rate? Mr. Goldberg: Our retention rate in our industry is generally quite high and we would be above the industry standard. We would have a 95 percent plus retention rate. Mr. Goldberg: We are going to continue to stick to our strategy. We want to continue to scale up and continue more acquisitions, and support our associate channel. In addition, we want to continue to recruit amongst the best talent in the industry. We have brought in about thirty-two people into our organization, direct hires, in the last quarter alone. We want to continue to expand our product offering and build additional proprietary solutions. We will continue to grow our company obviously from a top-line and bottom-line perspective and the more we can do that, the more we can reinvest in building great solutions and hiring the best talent across the HR and benefits industry. CEOCFO: What kinds of things are you looking to add to the mix? Mr. Goldberg: Certainly things along the benefits side. We are looking to expand in the area of wellness and wellness related products, some additional services that employers can provide as an additional employee benefit to their employees. We are also looking at further technological improvements in terms of online capabilities for both the plan sponsor as well as the employee. On the HR side, we are looking at expanding our presence in the area of executive search. Then we are expanding some of the services we provide in the area of HR consulting and career management, in particular some programs that help employers work with their employees to help them develop career plans within the context of the company that they are already in. That is a great retention and motivation tool that some of our clients have adopted quite successfully. We are also working on additional products and services for the C-Suite. CEOCFO: In closing, why should potential investors look at Groupworks Financial? Mr. Goldberg: First of all, we are in a large industry that is growing. The group benefits industry is a $32-$34 billion industry growing at a compounded annual growth rate of about 7%. HR and consulting related services is a $9 billion dollar industry in Canada. Our business is really focused on helping clients to attract, retain and incent their people, which is becoming an increasing challenge in today�s global marketplace. Those employers that are good at executing on their people strategies will have a better chance of being top performers. On the benefits side, because of the growth in premium combined with the fact that benefits are considered to be a non-discretionary spend, revenue and profitability is quite stable. Just going through the great recession recently you would not have seen a decline in our numbers. We are also very well diversified; we don�t have any client concentration risk by industry or sector. We are well diversified across government and not-for-profit organizations to private sector to associations, and in multiple industries in the private sector. Furthermore, I believe we have attracted amongst the best talent in the industry. We have a very robust model that on the one hand is highly scalable and at the same time very entrepreneurial in nature insofar as enabling us to attract top tier consultants that typically operated independently that can join our firm and be - what we call - Be In Business For Yourself, But Not By Yourself. We also have an ageing demographic in our industry, so there are a lot of practitioners that are looking for succession planning and we provide that succession plan for them. Access thousands of full-text Public Company CEO & CFO Interviews! You Get - the future plans for your stock investment - Financing, Growth Strategy, Company Contact Information and more!